The more I can’t shop, the more I WANT to shop. This is bad; I have to curb the addiction. Hello, my name is Magdalene and I’m a Shopaholic. 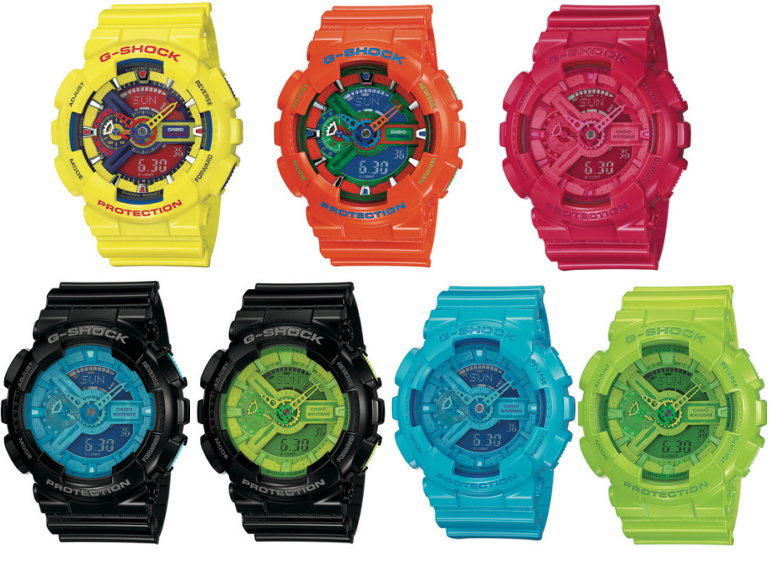 I shouldn’t have surf the net on my fashion readings… *slaps hand* I saw this latest accessory that I MUST HAVE, this limited edition colorful watch, G-Shock X-L Vivid Color collection!!! Colors = Mag. We belong together. Dammit! I knew D would love it too and I mms him immediately via Whatsapp! We should get one together baby!!! Hmm, I wonder if G-shock is cheaper in Japan. So am i. Can help me get one too in Japan if it’s cheaper?